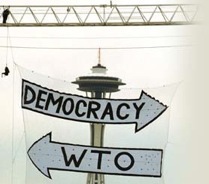 Join CAGJ for our Trade Justice Project meetings, where we will decide how best to mark the 10th anniversary of the WTO Protests: bring your ideas and willingness to help organize! Where: CAGJ Office in International District, 606 Maynard Ave S.
What to bring: it’s a potluck! Posted in News, Trade Justice Blog Posts.